Come for the wine, stay for the view ! 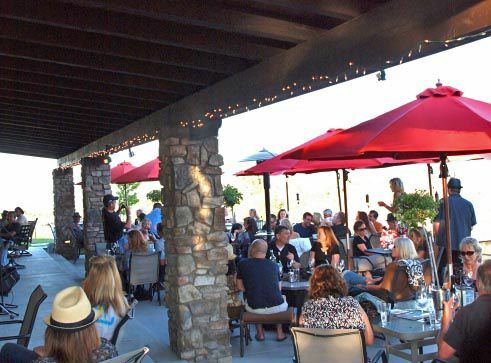 Tasting wine is undoubtedly one of the big attractions of Paso Robles. Mondo Cellars offers a classy and fun tasting room environment for you to experience the passion in our big Bordeaux and Rhone blends. We are family-owned and operated and guarantee your visit to our picturesque winery will be personal, entertaining and memorable. 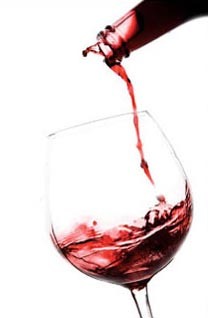 We specialize in both red and white blends such the elegant La Rocca, a Syrah, Mourvedre and Grenache blend that is silky smooth. The Mistress is a big Bordeaux blend with Cabernet Sauvignon, Merlot, Petit Verdot, Malbec and Cabernet Franc. 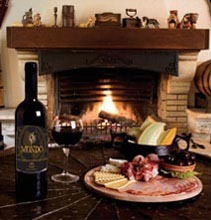 Try the Mondo Mambo #5 a delicious blend of Syrah, Zinfandel, Petite Sirah, Cabernet Sauvignon and Mourvedre. The Tanga flirts with your wine senses. This is a crisp, silky chardonnay that exhibits hints of apple and apricot with a drop of honey. Flavors of ripe pear and a hint of mineral carry on through the finish. She’s a beauty. Cielo is heaven in Italian, and this white Rhone blend is heavenly! Blending 65% Viognier, 25% Rousanne and 10% Marsanne resulted in a crisp and refreshing wine with hints of peach, apricot, and honeysuckle. Delicious paired with fish, chicken, tacos, apple pie, Abba Zabba bars.....heck, just about anything. Come take a ride on the Gondola! This chardonnay had hints of apricot, citrus, pear and vanilla layered with a crisp clean finish. This wine will make you feel like you are on a romantic old world boat floating through the canals of Venice. Capo is a Mob Captain. Whether the Capo is planning a heist of Lucky Strikes in Jersey or selling a truckload of moonshine, he wants a smooth easy drinking red blend after a hard day's work. This Capo is a blend of 50% Cabernet Franc, 21% Cabernet Sauvignon, 14% Merlot, 10% Petit Verdot and 5% Malbec. This is a fruity, light and smooth Meritage blend that the Boss would approve of. Bacio means kiss in Italian. The Bacio is a late harvest Primitivo. Deep ruby in color with a nose of fig, coffee and prunes the Bacio excites with flavors of cherry and black currant evident on the tongue. It is a fruity, sweet wine that we know you will love. Best served out of the navel! 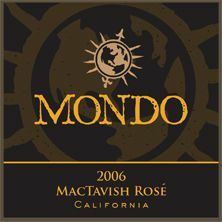 This wine is dedicated to the Scottish side of the Mondo Family named after Millie MacTavish Mondo, the feisty Mondo matriarch who loved Rosé wines. This vibrantly-hued Rosé gets its color from a Grenache grape. This wine exhibits a velvety mouth feel, with green apple, pineapple and melon flavors. This is a great summer sipping wine. The Guido is a balanced blend of 65% Primitivo, 25% Dolcetto and 10% Nebbiolo. The Guido is a lighter fruity blend that brings you back to the old days sitting at your candlelit table in your favorite Italian restaurant with a pile of pasta on your plate listening to an old Italian guy playing the mandolin while Paulie and Guido scheme about their next big score at the table next to you……almost heaven. The Gonzo is a delicious blend of 60% Grenache, 30% Syrah and 10% Cabernet Sauvignon with great gobs of blackberry and hints of raspberry on the nose. The Gonzo exudes dark fruit dominated by dark cherries with a velvety mouth feel. This wine has the spirit and adventure of a reckless skier screaming “Gonzo” on his way downhill to glory. That’s right…Gonzo means fool in Italian. The Wine is a blend of 75% Pinot Noir and 25% Petite Sirah. With hints of nutmeg and cinnamon on the nose, the mid-palate oozes with mixed berry cobbler. The Wiseguy carries through to a long dense finish. Whether you’re in the middle of a shakedown, sit-down or your a shylock or snitch, This Wiseguy is bound to steal your heart. This Goombah is bound to become your best friend. This 100% Central Coast Sauvignon Blanc is the perfect hot summer day companion. With lemongrass and grapefruit on the nose, the mid palette boasts of honey and tropical fruit with a hint of gooseberry. Finishing with a tongue tickling crisp acidity, we could all use more friends like the Goombah. The Gigolo is a Pinot Noir that will mesmerize your wine curiosity. This Gigolo comes from the La Encantada Vineyard in the Santa Rita Hills. With enchanting spice, lilac and strawberry on the nose, there is a subtle cherry vanilla berry oak punch on the front palette. This robust Pinot Noir will tickle your tonsils to a new level while leaving you with a smooth delicate finish. The Gonzo is a delicious blend of 42% Grenache, 24% Mourvedre, 19% Syrah and 15% Petite Sirah great gobs of blackberry and hints of raspberry on the nose. The Gonzo exudes dark fruit dominated by dark cherries with a velvety mouth feel. This wine has the spirit and adventure of a reckless skier screaming "Gonzo" on his way downhill to glory. That's right...Gonzo means fool in Italian. Some believe Fiasco's only definition is humiliating failure, but the old world meaning is actually a round-bottomed wine bottle, especially one having a basketlike covering like some Italian chiantis. This Fiasco is a bombastic blend of 75% Zinfandel and 25% Petite Sirah. With hints of brambly blackberry fruit sprinkled with spice and black pepper, this Fiasco delivers with a long elegant finish. The Wise Guy is a blend of 85% Syrah and 15% Petite Syrah. This Wise Guy means business. Tastes of blackberry, currant and cocoa are evident with a velvety mouth feel and long finish. Lush and opulent, it will leave you feeling like a made member of the Mondo Mob. 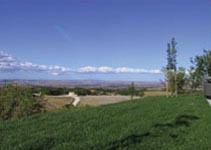 The Dago Red is a delicious blend of 80% Tempranillo, 15% Syrah and 5% Petite Sirah. As any Dago knows, there is nothing like a delicious red wine with a bowl of pasta. With hints of tobacco, vanilla and clove, the finish is smooth and lingers with tannin on both sides of your mouth. This wine is the perfect companion for pasta night with Guido and Paulie. The Snitch is a whistleblower of a wine. This ruby red blend of 44% Merlot, 24% Cabernet Sauvignon and 32% Petite Verdot informs your senses with soft tannins and light oak with expressions of blackberries, blueberries, cherry and light chocolate. Enjoy the delicate finish...but you may not be able to keep this little gem a secret....so don't feel bad about telling other folks about the Snitch. Welcome to Mondo Mob Wine Club, where enthusiasts are invited to join our family and be the first to enjoy each new vintage of our premium wines! Thank you for your interest in joining the Mondo Mob email subscription list. 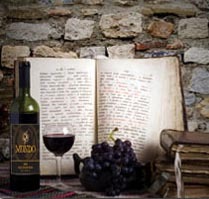 We periodically send out information that we think you will find interesting, such as information on upcoming wine releases, information and invitations to our fun events and news about Mondo Cellars. If you currently enjoy our wines or are interested in them we think you will enjoy receiving this information. That's a deep discount over buying our wines retail. Plus no annual membership fee! You may cancel anytime with 30 day (ahead of next shipment) written notice. Really!